Note: This article originally was published at The Diplomat website. The arrest of an Iranian official in Afghanistan in late August for "recruiting Afghan Shiite fighters and sending them to Syria" illustrates how the Middle East's Sunni-Shia battle for dominance has found renewed fervor in South Asia. The Iranan official, Qurban Ghalambor is a representative of Iran Supreme Leader Ali Khamenei's office. Afghan officials say Iran has created a new brigade of Afghan and Pakistani fighters led by the Iranian Revolutionary Guard Corps to help efforts to prop up Syrian dictator Bashar al-Assad. The Islamic Republic's recruitment of Shia Muslims is fueling increased sectarian attacks by the Islamic State (ISIS) and affiliated terrorist groups. A deadly suicide bombing in July claimed by ISIS, for example, was allegedly perpetrated in retaliation to the recruitment of hundreds of Shia Hazaras by Iran to fight the terrorist group in Syria. "Unless they stop going to Syria and stop being slaves of Iran, we will definitely continue such attacks," an ISIS commander was reported to have told Reuters. The bomb attack on a peaceful demonstration mostly attended by members of the Shiite Hazara minority in Kabul killed 80 people and wounded more than 260 others. Sunni-Shia tensions in the region are also being inflamed by the financial support Saudi Arabia and other Gulf states allegedly give to sectarian terrorist groups such as Lashkar-e-Jhangvi (LeJ). The group claimed responsibility for a suicide attack that killed 24 people in a religious procession during the Shia Ashura festival last October in Jacobabad in Pakistan's Sindh province. LeJ has connections to the Islamic State and has been responsible for deadly sectarian attacks inside Pakistan. Tehran's recruitment of Shia Muslims to fight in Syria and Iraq, and Riyadh's funding of Sunni terrorist groups are intensifying the Saudi-Iran rivalry for influence in the region and radicalizing local Muslim populations. Iran's Islamic Revolutionary Guard (IRGC) is secretly conscripting hundreds of Afghan Shia to fight alongside Assad's forces in Syria. Draftees are lured by promises of an Iranian residence permit and a monthly salary of about $500. Shias, who are predominantly of Hazara ethnicity and speak a dialect of Persian, comprise 20 percent of Afghanistan's 30 million people. The IRGC also has drafted thousands of undocumented migrant and refugee Afghans in Iran, according to a Human Rights Watch report. Afghan refugees and migrants who have fled war and persecution are threatened with deportation back to their home country if they refuse the draft. Afghans recruited to fight in the Syrian civil war are deployed with the Fatemiyoun Division, launched by the IRGC in 2014 and named after Prophet Muhammad's daughter, Fatima. Fatemiyoun forces are estimated to consist of 20,000 fighters whose primary mission is to safeguard Shia shrines in Syria, primarily the Sayyida Zeinab mosque in Damascus, one of Shia Islam's holiest sites that has been the target of ISIS attacks. Division fighters sometimes are coerced into carrying out perilous military operations and reportedly received training from the Lebanese Hezbollah. Funerals for fighters killed in battle are held in the holy city of Qom and other Iranian cities and attended by Iranian officials. The IRGC has similarly established the Zeinabiyoun Brigade for Pakistani Shia deployed to fight in Syria. Known popularly as Hezbollah Pakistan, the Zeinabiyoun has a logo similar to that of the Lebanese Hezbollah and its Facebook postings applaud the Iranian Supreme Leader Ayatollah Ali Khamenei. In June 2014, 30,000 Indian Shia Muslims volunteered to fight Islamic State forces in Iraq to protect Shiite shrines from being targeted by Islamic State terrorists who routinely attack these shrines. Volunteers ranged from students to professionals such as bankers, doctors, and engineers. "We are looking at a million volunteers to form a human chain around the holy shrines of Karbala and Najaf, in case the Isis [sic] attacks. We will do everything to stop the advance of the enemies," Syed Bilal, spokesman of the India-based Shia group, Anjuman-e-Haideri, told Iraqi News. Over the years, the struggle between Riyadh and Tehran for control in South Asia has fueled the modern iteration of Islam's ancient schism between Sunni and Shia Islam in the region. Since the creation of an Islamic Republic in Iran in 1979, Tehran has sought to export its revolution to Shia populations around the world. Efforts by Tehran's clerical regime to spread its version of Islam, also known as "Khomeinism" after the Iranian revolution's founder, Ayatollah Ruhollah Khomeini, ignited tensions with Sunni Saudi Arabia, Iran's rival power in the Middle East. To counter Iranian influence, Saudi Arabia funneled millions of dollars to madrassas – or Islamic seminaries – in the region to propagate the kingdom's official Wahhabist ideology, which emphasizes an austere practice of Islam and the literal interpretation of the Quran. The Saudis also financed a large part of the jihad waged by the Afghan mujahideen (holy warriors) fighting Soviet forces in Afghanistan. The Saudi drive for influence in the region was aided in large part by General Zia ul-Haq's Islamization campaign in Pakistan around the same time. Riyadh also helped fund Sunni sectarian groups, such as the Sipah-e-Sahaba Pakistan (SSP), that were created during Zia's regime "as a response to the increasing political solidarity of Pakistan's Shia community in the late 1970s and early 1980s, a byproduct of the 1979 Islamic Revolution in Iran." In a 2012 Reuters interview, a top SSP leader expressed concern about Iran's "grand designs" in the region, warning that "[i]f Iranian interference continues it will destroy this country." U.S. embassy cables released in 2010 by the whistleblower website WikiLeaks reaffirm that "Saudi Arabia remains a critical financial support base for al-Qa'ida, the Taliban, LeT [Lashkar-e-Taiba], and other terrorist groups" that operate in South Asia. Both Riyadh and Tehran exercise soft power to expand influence in the region. That includes sponsorship of madrassas, mosques, and media centers. Of the nearly 285 Islamic seminaries in Pakistan that receive overseas funding, two-thirds get financial support from Saudi Arabia and other Sunni Gulf monarchies, while one-third are sponsored by Shia-majority countries such as Iran and Iraq. "This competition for the minds of young Pakistanis fuels sectarian strife in the country, which is roughly 80 percent Sunni," notes leading South Asia expert Bruce Reidel. Meanwhile, Tehran has built one of the largest madrassas in Kabul, the Khatam-al Nabyeen Islamic University, which is reported to be "closely linked with Iran" and "serves as a focal point of Iranian influence activities, including the promotion of velayat-e faghih [Guardianship of the Islamic Jurists]." Saudi Arabia upped the ante by building a $100 million mosque and Islamic Education Center in Kabul. Tehran also supports the sponsorship of the annual Quds Day (Jerusalem Day) celebration in Afghanistan to draw attention to the "occupation" of Al-Asqa Mosque and the Israeli "oppression" of Palestinians. The rallies routinely feature chants of "Down with America" and "Boycott Israel." Iran's Ministry of Science, Research, and Technology offers scholarships to Afghan and Pakistan nationals to pursue higher education at Iranian universities. The founding of the Imam Khomeini Memorial Trust (IKMT) in Kargil, in the Indian state of Jammu and Kashmir, was inspired by the Iranian revolution and is run by clerics trained in Iran. The IKMT Facebook page features photos of Iran's Supreme Leader Ayatollah Khamenei meeting with family members of fighters "martyred" in Syria and Iraq. Saudi Arabia's execution of prominent Shia cleric Nimr al-Nimr in January, following his conviction on terrorism charges, sparked protests by Shia Muslims in the region and around the world, including in South Asia. In Quetta, where Shias have been routinely targeted, protesters held up placards with anti-Saudi slogans and called on Islamabad to reassess its ties with Riyadh. Maulana Kalbe Jawad, secretary general of the Majlis-e-Ulama-e-Hind (MUD), an organization of Shia clerics in India, said al-Nimr's execution is "not only un-Islamic but will also have serious consequences and eventually bring about the end of the Saudi kingdom." Jawad, who was alleged in a 2006 diplomatic cable released by WikiLeaks to be a paid spy for Tehran, has also lobbied to withdraw India's accusation of Iran's role in a 2012 terror attack on an Israeli diplomat in New Delhi, calling the claim a "conspiracy." Tehran's growing outreach within the Indian Shia community has been viewed with growing concern by Riyadh. Diplomatic documents from the Saudi Ministry of Foreign Affairs released last year by WikiLeaks include an appeal to the Saudi government from the secretary general of the terror-tied Muslim World League headquartered in Mecca for more Salafi centers in India to counter Iran's expanding influence. Saudi-supported ultra-conservative Wahhabi Islam has over the decades attracted adherents across the country, particularly in the Indian states of Kerala and Karnataka, and facilitated indoctrination and recruitment efforts by ISIS and other terror groups. Controversial Indian preacher Zakir Naik, alleged to be the inspiration behind a July attack on a café frequented by foreigners in Dhaka, Bangladesh, received the prestigious King Faisal International Prize last year from Saudi Arabia's King Salman for his "service to Islam." Naik, who has called the 9/11 attacks an "inside job," is reported to receive funding from Saudi Arabia. 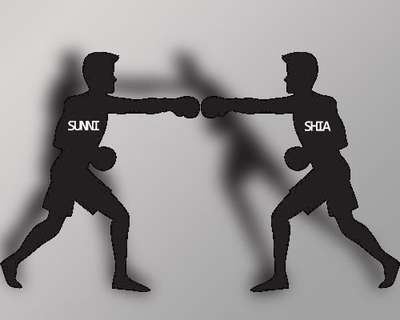 The Sunni-Shia feud that drives much of the violence in the Middle East and has aided the rise of sectarian terrorist groups such as the Islamic State is being replayed in South Asia. Since the start of the Islamic Revolution and Saudi Arabia's support to Afghan mujahideen fighting the Soviets, the Saudi-Arabia and Iran rivalry continues to deepen Sunni-Shia divisions in the region, radicalizing Muslim communities and creating an environment for the Islamic State and other sectarian groups to flourish. Abha Shankar is a Senior Research Fellow at the Investigative Project on Terrorism.